Reality Street is proud to have published this astonishing sequence of short (one- to three-page) poems in the later years of Barbara Guest's life. Unfortunately, this book is now out of print. Barbara Guest was born in North Carolina in 1920 and spent her childhood in Florida and California. After graduating from the University of California at Berkeley, she settled in New York City where she connected with the New York Poets, such as John Ashbery, Frank O’Hara and James Schuyler, and the artists of Abstract Expressionism, who influenced her poetry. Her writings during the 1970s showed her moving in the experimental directions for which she was recognised. 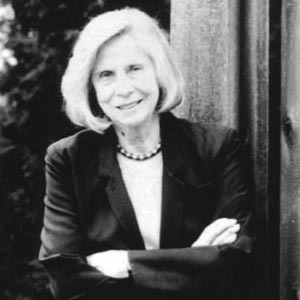 Barbara Guest died in 2006. Barbara Guest's Collected Poems is now published by Wesleyan University Press. It includes the text of If So, Tell Me, among the rest of her extraordinary lifetime's work. You can buy it from the US or the European distributors.